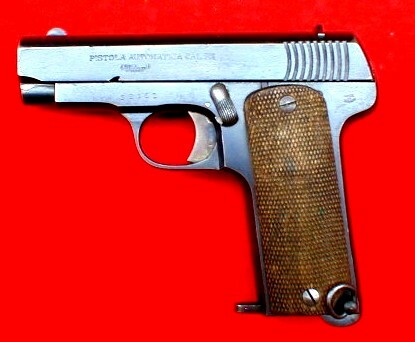 Pistol semi automatic “LIBERTY”, manufactured by Retaloza Hermanos (RH) in Eibar, Spain. This type of weapon often carries markings “Fabrique d'Armes de Grande Précision, Eibar”. There exists into 6, 10 and 11 blows (1913). 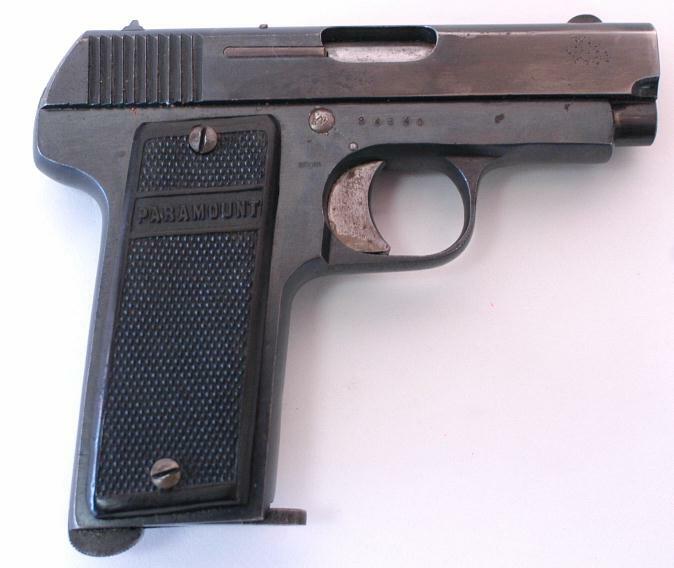 Caliber 7,65mm Browning (.32 ACP) designed by the brothers Retolaza and Gregorio Bolumburu. The “Liberty” one of the various commercial models is delivered to France by this firm. Many of these weapons were manufactured for France at the time of the first War. 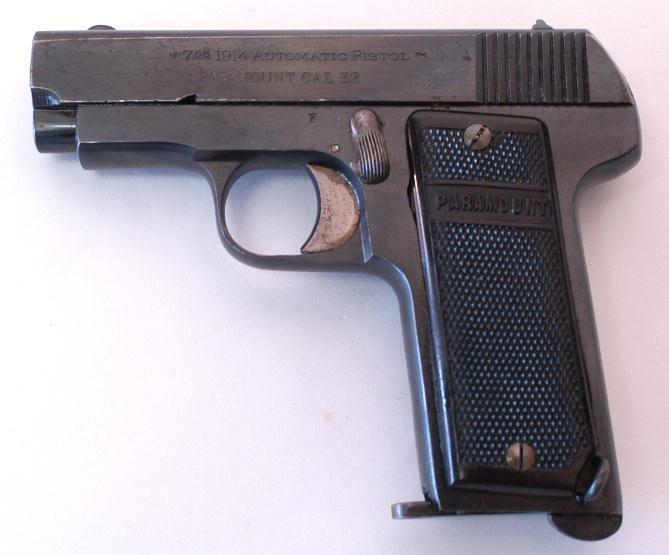 This factory also produced for the civil step less than eight models different from the same mark but in calibers.25ACP. 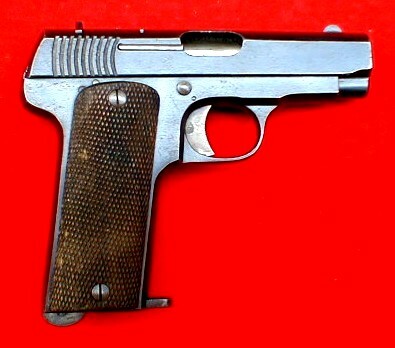 The LIBERTY Model 1914 is one of the very many guns of 7,65 mm entering the general denomination of “RUBY”, manufactured to Spain (in the Basque Country) of the beginning of the XXe century at the end of the Thirties by a multitude of small manufacturers and others a little more known (GARATE Y ANITUA, ERQUIAGA Y Cia, EIBAR, ZULAICA Y Cia, EIBAR, ALDAZABAL LETURIONDO Y Cia, Eibar, HIJOS DE A. ECHEVERIA-EIBAR, BESTEIGUI HERMANOS, EIBAR, GABILONDO Y URESTI, EIBAR, IRAOLA SALAVERRIA Y Cia, EIBAR, LA ARMERIA ELGOIBARREIA, EIBAR, I. GAZTANAGA, EIBAR, ERMUA VIZCAYA, ASTRA, GIORGIO BOLUMBURU, and so on…). A good quantity was bought by the French Army as of the Large War to cure the lack of weapons of fist. Of particularly poor quality, these weapons still made figuration in 1939-40… and in Resistance. LENGTH OF MAGAZINE - 4.16"
The Retolaza brothers made their appearance in the sector of the guns about 1890, with the inevitable imitation of the revolvers of pocket "Velo-Dog" and it is proven that they formed part of the pioneers of the construction of the automatic guns with Eibar. They took part in the gold rush in 1915 and they continued to build automatics at low prices until the Civil war does not put a term at their activity. Spanish made World War One Allied military contract "Ruby" type semi automatic pistol. Manufactured in the period of 1915-1918 by Retolaza Hermanos maker in Eibar. Blowback design based on John Browning's FN/Colt M.1903. The left side of the slide is marked, "PISTOLA AUTOMATICA CAL. 7.65 "VILAR"". 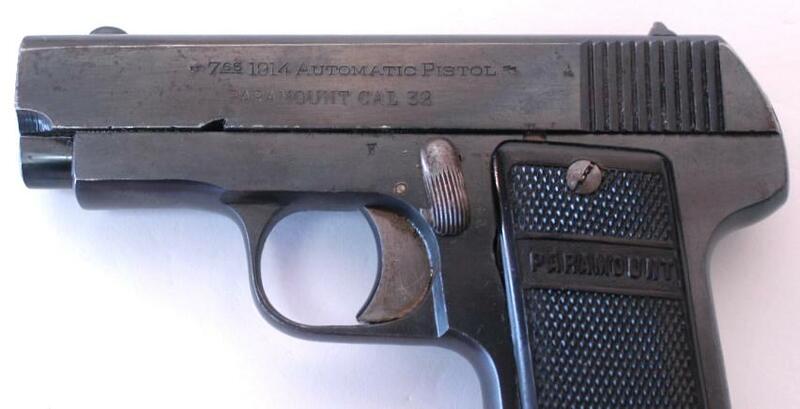 Some Spanish proofs are stamped on the frame of the pistol. Nine shot magazine. All the weapon of this kind is copy of the models of John Moses Browning. They had odd names and in any kind : Gallus, Liberty, Military, Paramount, Retolaza, Titan, Titanic and so on. In this time, the models Browning is copied by many manufacture in the world, some very good, others….